This post isn’t about any of the stories (mostly made up) about the meaning behind my blog title. This post is to tell you about how my blog found a logo, a logo for my blog, (can we call it a blogo? I mean people make up with names of things all the time) and possibly an identity……. 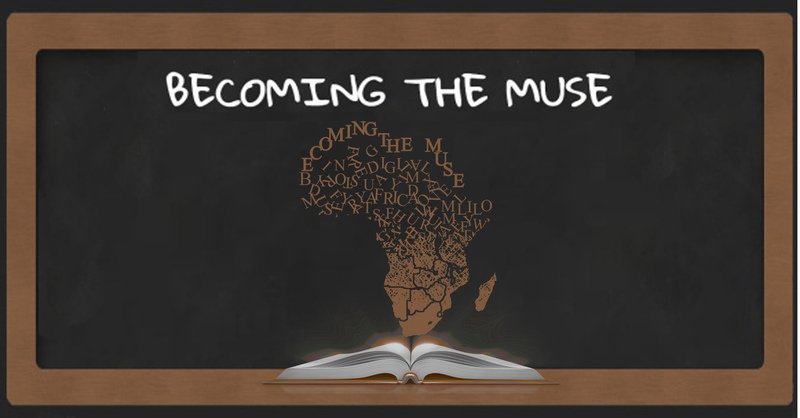 I create words, each letter is part of bigger picture, together a story is told, together with each story I share I Become The Muse, and these are my words telling Africa’s story…. I closed my eyes and suddenly I could visualise an open storybook; letter by letter each word I share; tells the story, my story, I am Becoming The Muse……. The name behind my blog suddenly makes more sense, although each day the story of the meaning may change from now you can see how each letter defines me, and all the words buried within…., who knew a logo could do that? That first picture looks dangerous. Great use of your photography skills. That truly is an AMAZING blogo. Now I want one, too. B. this logo is you, it’s perfectly you!! Is it soo much to hope for that you’d give the deets on the first photo? It scared the mess outta me. What a great logo! Your brother definitely has some great graphic design skills. You do too, judging by your photos of yourselves.